But it's not in the right hands. So I was at Barnes & Noble trying to decide if I wanted to splurge on Tasarina or The Winner’s Curse and I couldn’t make up my mind because I had heard such great things about the latter. I decided to read the first few pages of both books to help me decide and ended up going with Tsarina. 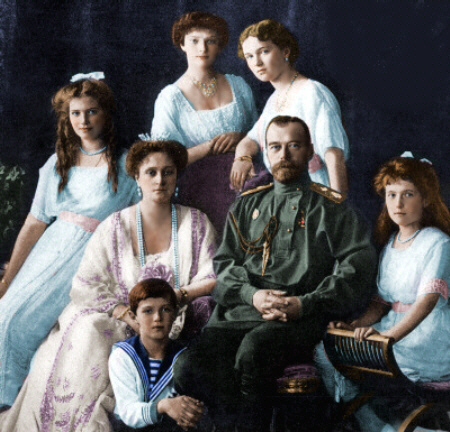 I can’t remember the first time I ever learned about the Romanov’s but I do remember a strong curiosity being kindled in my young brain when I did. I remember seeing Christian Bale play a young Alexei of the House of Romanov in a movie called Anastasia when I was a kid, but that’s about it. I have never read any historical fiction on Russia’s doomed royal family so I was eager to see how J.Nell Patrick was going to mix fact with fiction in this novel. 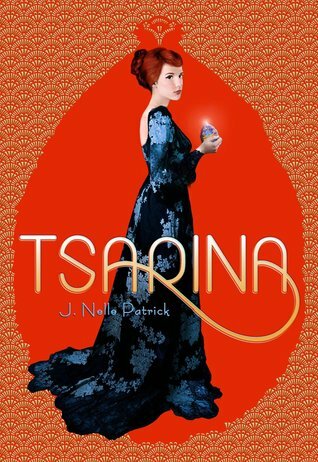 I thought Tsarina would be something different than my usual romp through tales of the English and French monarchies and I was excited to see how a magical Fabrege Egg would be the catalyst of this story. Set among a chillingly beautiful Russia on the verge of the Bolshevik revolution the author’s words were like bricks, building the walls of the Winter Palace right around me. The beauty of the surroundings throughout Natalya’s journey in Tsarina projected clearly from the page to my mind and made me long to visit the places written about. Natalya is the romantic, fiesty, and loyal heroine of our story. She is destined to become Tsarina because it is understood that she is Alexei’s, the air to the Russian throne’s, intended. Natalya was born to privilege and her life has safely been tucked away among Russian nobles and the royal court. However, early on in the story we see glimmers of a compassionate, smart, and somewhat rebellious personality when it comes to noble ways and what’s expected of her. I was able to connect with Natalya on many levels but there were moments in the story that I cringed at her lack of forethought and naivete. Despite those flaws, I found her to be an enjoyable and well rounded character. Who I found myself imagining as Natalya. Natalya’s best friend, Emilia, is the sassy and savvy sidekick to the story. I really enjoyed her light-weight character and the comraderie between her and Natalya reminded me of Mina’s and Lucy’s in the BBC’s Dracula. Who I imagined Emilia and Natalya to be like. I was caught off guard at the beginning of this story when I realized that Alexei was not to be Natalya’s romantic counterpart throughout the entire novel. I will not go into further detail because I hate spoilers, but I liked being blindsided by that aspect of the story even if I did pout about it for a few chapters. Leo, a working class boy from the other side of the tracks, is the distractingly handsome rebel that Natalya spends most of her time with in this novel. He’s a crystal clear character that I instantly felt drawn too. His motivations and his and Natalya’s character arcs are obvious from the moment they meet but the author plays out their story in a way that is refreshing and heartfelt. 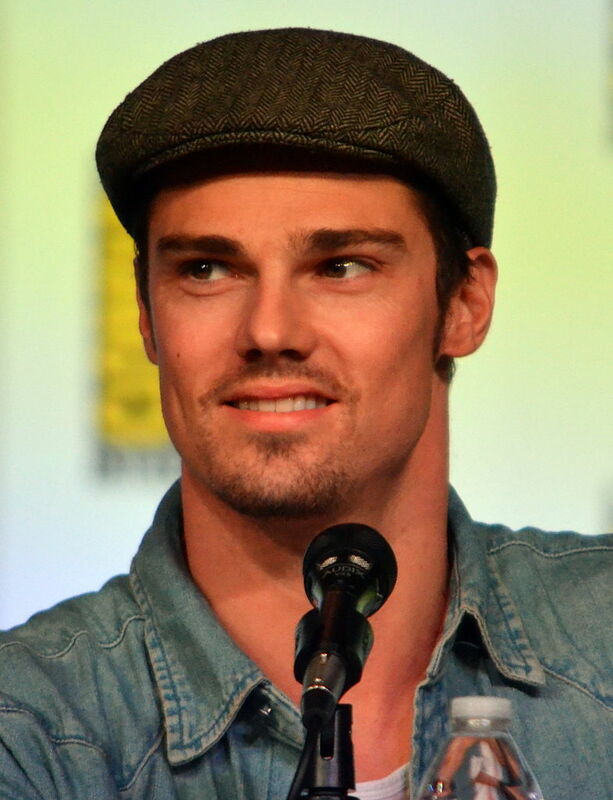 Excuse the mic, but I like Jay Ryan as Leo. The moment’s that we witness Natalya and Leo connect in this story gave me goosebumps. Their worlds collided roughly and beautifully, and connections became roots that took hold in each other’s hearts and psyches- making them both question their positions in the chaos that their country is caught up in. Both characters are passionate about their cause. Natalya’s is to save Alexei from the hands of the Reds- the rebels against the monarchy- and Leo’s is that of the Red’s (working class Russians) who desire to have an equal shot at life, and diminish the Whites (Russian royalty) monopoly on luxury and happiness. I love when facts and history are cleverly cloaked and presented together in an entertaining and thought provoking way. The magical element that was at the heart of this story was clever and well drawn out. The purpose of the Fabrege Egg and the mystics behind it’s power was such an intriguing and unique spin to the story. After reading this book, I sat back and pondered for a bit about what the Celestial Egg really symbolized. I loved being reminded of people, places, and events that I no doubt learned about in World History many years ago. I’m sure many of you who also read this book were like me in that respect, reading names like Rasputin or Lenin and thinking, “Ahh,yes. They sound familiar.” Tsarina painted a sympathetic view of both sides in this story and reminds us that in the end we are ALL people, despite class or politics, who want the best for ourselves and our loved ones. I’ve always been intrigued by revolutions throughout history. The American Revolution, the French Revolution, the Enlightenment. I’ve read about them all in fact or fictitious form, and now I can add the Russian Revolution. The pacing and tone of the novel were pitch-perfect. J.Nell Patrick’s writing was just right: crisp, concise, and adorned in all the right places. I recommend this book to the history lover and general reader alike. It’s definitely a book you will want to add to your collection. The story is as beautiful as the cover. So happy you loved Tsarina. Little known fact–I used to have a very deeply rooted interest in all things Russia. 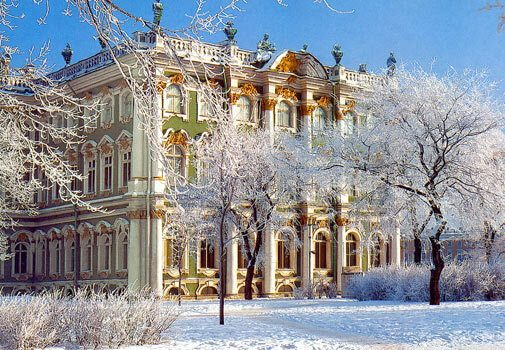 I focused the majority of my research on Stalin but have loved the culture, architecture etc. I thought this book would be 100% a winner for me due to all of that. Unfortunately, I could not connect with the characters. I have no clue why 🙁 I wanted to so badly. It seems that the vast majority of people have loved this one. That cover is so stunning. I bet in person it is even more lovely.